Construction for the Island Adventure Party & Rockhopper’s Quest has begun on the island (thanks for pointing out the typo, Ciullo1! ), in preparation for the event which begins on July 26th! The event will be combined as one, but the official name hasn’t been revealed yet. Construction can be found all over the island, including the Beach, Dock and Town! 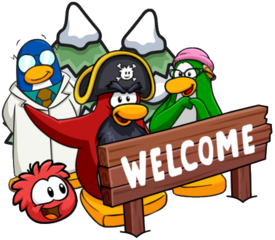 As a result, you cannot access the Migrator currently. Also, in case you missed it, construction for the EPF/PSA has continued too! The exterior has been completed, so the construction tools have been removed from the Ski Village, and the PSA HQ is almost ready. I’m so excited for next week’s events, it’s looking to be one of the best in a while! Thank you very much for reading, waddle on! At the Ski Village on Club Penguin Rewritten, some construction has been going on for a few days! However, it is now possible to obtain the Construction stamp in this room for a limited time. Firstly, click on the box of helmets in the middle of the room to be able to obtain a head item. You may already have it, so make sure you wear it. You must ensure that you aren’t wearing any other clothes except the construction hat (or Builder’s Vest). Once you do this, simply dance by pressing “D” on your keyboard and the stamp will be added to your stampbook! This likely will be unavailable from January 31st as it is the day which the Great Snow Maze begins, so be sure to obtain it soon as it hasn’t been obtained for a while. I’d like to give a huge thank you to Underscrin12 for informing me about the stamp being fixed! 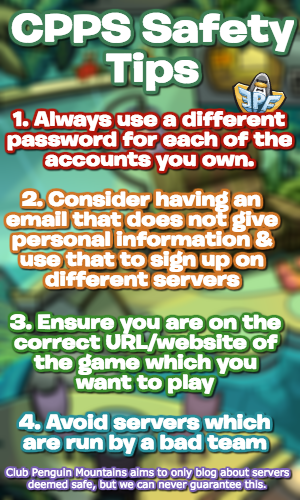 Be sure to check back for more of the latest Club Penguin Rewritten news and guides, thank you for reading!